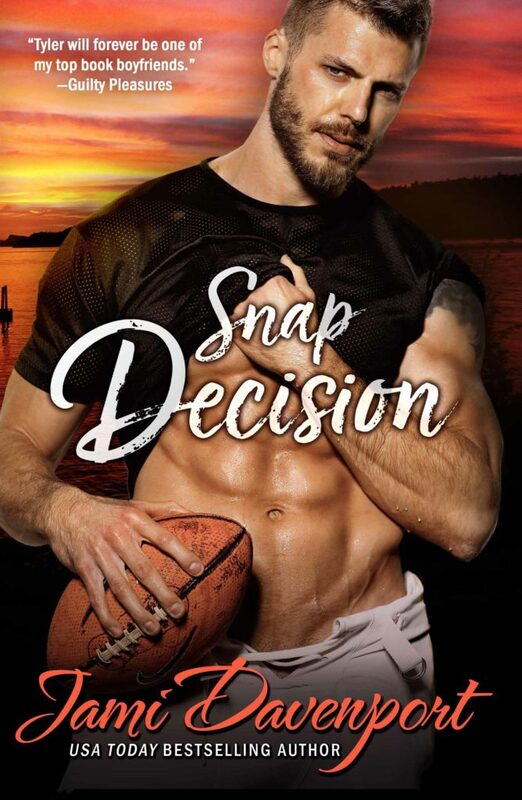 Bad boy quarterback Tyler Harris plays ball for a living and breaks hearts for a hobby. With two championships in as many years, Tyler is the best quarterback in the league. Gorgeous and rich, he’s at the top of his game. Women love him. Men want to be him. Only Tyler’s not feeling the love. In fact, he’s not feeling anything at all. Licking his wounds after a scandal and a breakup with his long-time girlfriend, he retreats to a run-down mansion on a remote island in the Pacific Northwest. Once there, Tyler is blindsided by the sassy redhead next door. He knows that he’s met his match and possibly his soulmate. There’s one problem. She despises him. Lavender Mead has a good reason to dislike jocks, namely an absentee father who deserted the family to coach college football. Maybe that explains her penchant for bad boys — especially those who play ball. Her new neighbor seems just that type. Yet Tyler’s not the shallow superstar she expected, and she’s inexplicably drawn to football’s bad boy. The two are so hot together, they’re combustible. As the clock ticks down, can they commit to each other forever? Or will they both fall short of the goal at the last minute?